Welcome to the land of the midnight sun; located in Northern Europe, Norway is a diverse collection of cultural and scenic wonders. Among the museums, it seems like there is one for each different aspect of its historical past; some popular museums include: the Norwegian Folk, Viking ship and the Vigeland Museum. Norway is blessed with an abundance of natural beauty too; some popular places include: the glaciers, Geirangerfjord & the Pulpit Rock. 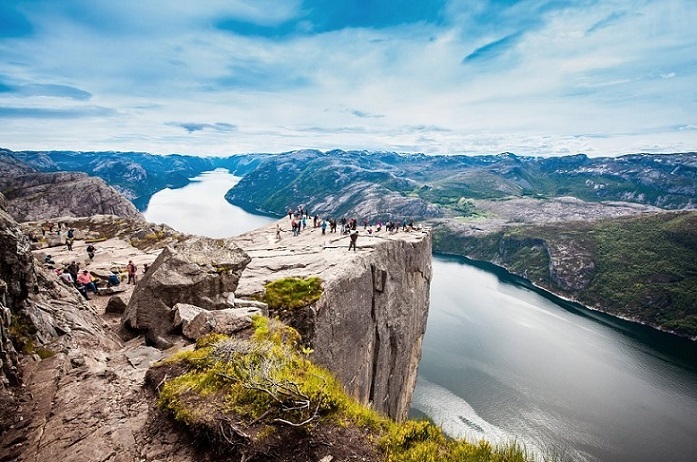 From metropolitan Oslo to the mountain peaks, there are endless choices for the traveler; here are a few of the popular tourist attractions in Norway. Located in Oslo, the Vigeland is one of the most popular museums there. The mission of the facility is to act as the custodian for the heritage of Gustav Vigeland and to preserve his works for generations to come. Therefore most of the exhibition space is for Vigeland. This 74 acre facility is located in western Oslo; when visiting, you will see 200 plus sculptures in bronze, iron and granite. If you visit Oslo, Vigeland Museum is a must see attraction. One of the most popular attractions is Pulpit Rock. Above Lysefjorden is a square formation of rock resembling a pulpit, that is sticking out from the surrounding mountainside. It is only 82 by 82 feet and this rocky plateau is 1,981 feet above the waters of Lysefjorden. Each year more than 200,000 visitors make the trek to Pulpit Rock, making it one of the most popular tourist destinations in Norway. For the traveler, the hike to reach it will take two hours, involving a full day trip from Stavanger. Stave Churches are seen all over southern & central Norway; they come in all shapes and sizes from the the monumental to the very small. Urnes Stavkyrkje was built using several architectural styles including: Celtic, Viking and Romanesque . Nine hundred years later, this medieval church continues to stand. One interesting fact is this church was built using wood instead of the usual stone. Urnes Stavkyrkje is located on the west coast and having been built in the 12th century is one of the oldest. 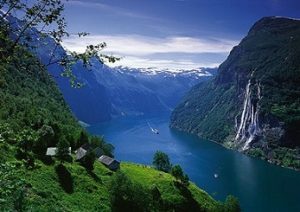 Geirangerfjord is part of the Fjord Norway network and it regularly makes it on the World Heritage Sites list. Extending more than 9 miles, this natural wonder of blue water with cliffs & green mountains towers more than 3,500 feet tall. One of the best views is the summit of Dalsnibba. With an attitude of 4,905 feet, the surrounding views are breathtaking. There are various ways to see Geirangerfjord including cruises, tours and automobile. Back in the 9th century the Vikings sailed the northern seas, striking fear in the people of the regions they choose to invade. Today, tourist can see some of these vessels that caused so much terror centuries ago. 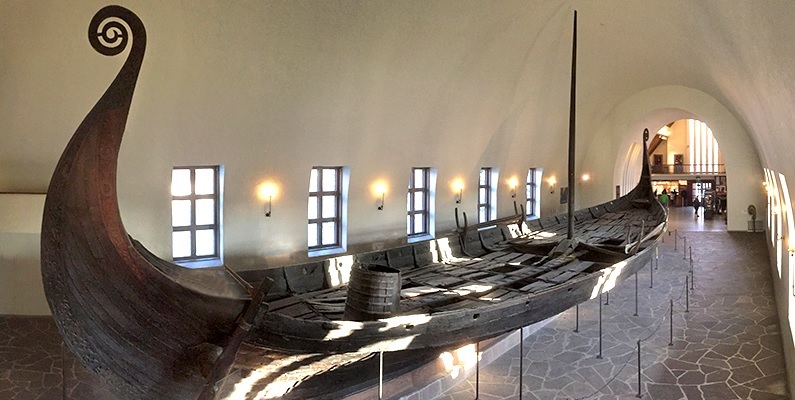 The Viking Ship Museum in Oslo displays some of these ships. Among the displays includes ships from Gokstad, Oseberg and Tune. In addition the museum displays textiles, tools and items found in the tombs of Vikings. A large portion of the country is within the Arctic Circle, giving Norway two of its most popular attractions. The Midnight Sun, is an impressive sight to see; during the summer months, around the time of the summer solstice, there are days when the sun doesn’t set. However the real show-stoppers are from October to March. This is when the northern lights are visible as they dance across the sky. There is no guarantee that the lights will appear on a schedule, but if you are fortunate enough to see them, it’s a priceless experience you will always remember. Nidaros Cathedral is known as one of the most important pilgrimage destination in Norway. This cathedral is Norway’s most important church and is the largest medieval building in the region. Nidaros was built to honor a Viking chieftain named Olav, who would became king and then a saint. After his death in 1030, his nephew began constructing the Cathedral in 1066, finishing it in 1090 A.D. Today the Nidaros Cathedral is a popular tourist attraction where the memory of St. Olav is observed each year.